Agenda Review and Announcements: Nicholson reviewed the agenda no items changed. Nicholson reported that the KFNA board was not able to approve the market coordinator job description without a budget. He passed a budget around for review; no changes were suggested by the KFMC. The 08-market budget and the job description will be submitted together to the board for an email vote so that the job description can be posted ASAP. Market Coordinator job description/posting plan: Brauer and Nicholson already posted the market coordinator position via the Minneapolis Issues list etc believing that it had been finalized. Hallstrom has received two inquiries -Sheila Daleny, former ED for Longfellow Community Council and Sharon Nygren (experience in development work, special events, environmental education, has a small organic landscaping business etc). Both interested parties asked about compensation. The group had wanted to leave this open until interviews. Hallstrom requested permission to give the guaranteed hourly rate of $15/hr with the explanation that it is the goal of the committee to expand the market coordinator position through development work (i.e. securing grants etc.) The committee agreed on this and Hallstrom or Linnes-Robinson will notify the interested applicant. The committee talked about the interview process. Ludwiczak stated that the interviews need to be conducted the same (same interviewers and same set of questions). Nicholson, Brauer, Pampuch, Sassily-James and Hallstrom are all willing to be part of the group that conducts the interviews with Linnes-Robinson. Interview scheduling and the final interview process and committee will be determined later. Hallstrom will work on the creating the set of interview questions. Hallstrom put a notice in the Kingfield Newsletter for volunteers to sign up to help for a day at the market. Hallstrom also added a vendor refund to the vendor application that will reward season vendors for signing up for at least 5 volunteer hours during the season. Hallstrom would like to secure an intern of some sort. Committee members suggested a youth intern, U of M intern or try the Youth Farm intern arrangement again (Pampuch will talk with Rina at Youth Farm about this). Based on a recommendation from Debra Bourne, Hallstrom asked committee members to volunteer at the market. Committee members signed up to cover the second Sunday events for the whole season. Jobylynn recommended that a volunteer job description be written to help volunteers understand their roles and duties at the market. The committee confirmed March 25 from 10:00am-12:00pm at Corner Table for the vendor meeting. The meeting was moved from March 11th per Pampouch’s recommendation to hold the meeting with the new market coordinator. This new date will give the committee and the KFNA board time to hire someone. Hallstrom has already started working on the agenda for the meeting and will post updates on Google groups for the committee to review. Nicholson confirmed that he will be able to attend and help out. Berg and Bourne may also be able to help. 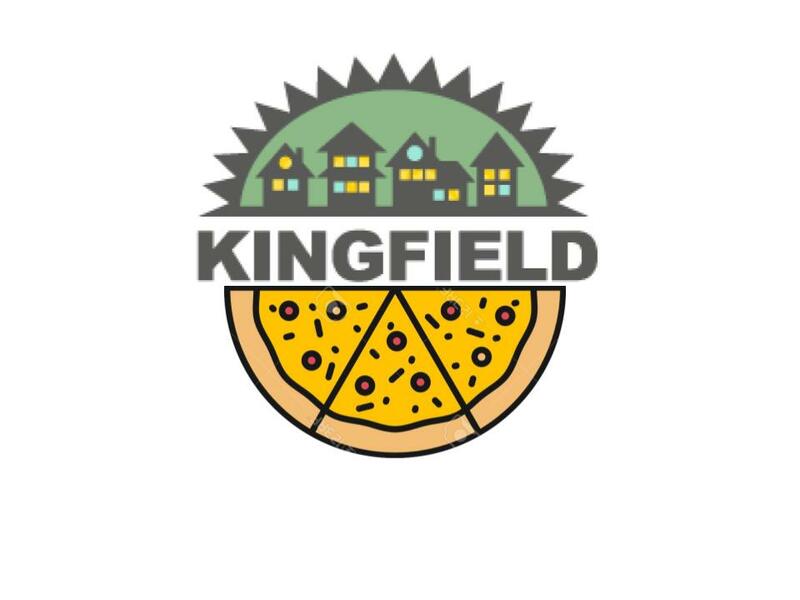 Judson Street Fest on May 17th: Kingfield Farmers’ Market vendors have been invited to vend at the Judson Street Fest. They will go through their vendor application process. The committee agreed that this is a good way to promote the market pre-season and give vendors an opportunity to connect with the neighborhood. Hallstrom is sending out Judson vendor applications along with the Market Vendor packet. The market can have a table at the fest, which the committee would like to do. Jeff Berg will work on 08 promo materials (posters etc) and have them ready for vendors to display at the fest. The committee or new market coordinator will need to find volunteers to staff the table. Hallstrom confirmed with Davidson’s Farm. They are willing to help us with a Mother’s Day flower sale fundraiser. Jean Davidson needs flower/plant orders in by March 21st in order to have time to get the plant ready for Mothers day. Jean gave the price that she needs back from each sale and a recommendation of what the plants could sell for. She is excited to try this out and if it works with more planning next year Jean could have hanging flower baskets for 09 (which have a higher potential for revenue). Hallstrom is working on the plant drop off and pick up details. Jean will deliver the plants to KFNA on Friday May 9th. The committee wants the pick up to be on Saturday, May 10ths. Hallstrom will work on confirming a location for storage and pick-up. Café Tempo was suggested. Hallstrom will try to get this in the Kingfield Newsletter. The market will take home $40% of sale profits. The committee is trying to building off the success of the Bake-off events last year, which raised over $1200. The committee discussed how to change the event to benefit the vendors (Grand Café reported that they broke even on their sales on Bake-off days). Ludwigzak suggested moving the entries to different spots in the market. They would be placed with vendors. Patrons would have to move around the market to sample the items. Brauer and Pampouch also suggested giving smaller portions so as not to fill people up. Everyone agreed that the Bake-off events were a great way to bring foot traffic to the market. It was suggested to do a cold soup or salsa contest in August instead of a corn Bake-off. Hallstrom will check on the food code regulation for this. The committee also wants to sell more varieties of ice cream during the July KFNA Signature Ice Cream contest winner sampling. The main ideas for the events are confirmed. The new market coordinator and the Hallstrom will work on the details. Potential Grants Update: Hallstrom highlighted a handful of grants that Linnes-Robinson had found for the market to consider pursuing. Hallstrom’s evaluation of the Hometown Hamburger Helper grant (General Mills) was that is was for durable goods (playground equipment, band uniforms etc and not for operational costs. The committee was mixed about applying for this grant wanting to be cautious about any strings attached to the money. Hallstrom will look into this further. The committee would be interested in funding for tents, more tables and chairs etc. Hallstrom reported that she will be applying for a CURA research assistant for the summer – application is due March 30th. Donna Viland expressed that she is indeed interested in working the committee on grant research and writing. She will meet with Hallstrom and Linnes-Robinson next week to discuss this more.